It’s notoriously tough to develop just about anything that helps patients with glioblastoma, an aggressive brain cancer, live longer. It’s just as hard to develop a vaccine that provides any sort of benefit to cancer patients. Yet Hampton, NJ- and Needham, MA-based Celldex Therapeutics (NASDAQ: CLDX) is providing some data today indicating that it just might have a chance to do both. 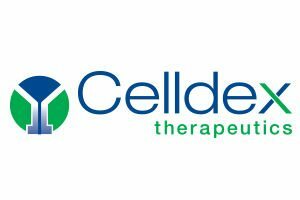 Celldex is reporting interim results today from a Phase 2 trial showing that its vaccine, rindopepimut, or “rindo,” helped extend the lives of a small group of glioblastoma patients who have relapsed after surgery, chemotherapy, and radiation. The headline number for Celldex is that patients in its study taking rindo along with bevacizumab (Avastin)—the only approved therapy for this group of patients—survived for a median of 12 months, compared to 8.8 months for those getting bevacizumab alone. Celldex said the 3.2-month benefit was statistically significant, meaning it was unlikely to be due to chance. Rindo also hit statistical significance in helping slow the progression of these patients’ tumors. Some 27 percent of those on bevacizumab and rindo in the trial had their tumors held in check after six months of treatment, compared to 11 percent of those in the other group. There were no serious adverse events associated with the drug; Celldex only reports that one patient had a grade 1 (mild) brain bleed; its chief medical officer, Thomas Davis, says the bleed didn’t seriously impact that patient. The most significant side effects so far have been an “occasional” grade 2 (moderate) allergic reaction, he says. Celldex is reporting that the vaccine was well tolerated in its study. While a 3.2-month survival benefit may not seem like much, people with recurrent glioblastoma often live for only a handful of additional months. There aren’t many treatment options, because, for one, the tumor is hiding behind the blood-brain barrier and it’s hard for many chemotherapy drugs to get there. Patients first get surgery, radiation, and the chemotherapy drug temozolomide. If their tumors return or progress after that, the options are more surgery, a variety of off-label chemotherapies, and bevacizumab. All in all, however, glioblastoma is an aggressive, fast-moving cancer that often kills people in 15 months or less from the time of initial diagnosis, and some six months or so after their cancer recurs. The data have Celldex thinking bold. The company will now follow the patients in the study for another three to six months before reporting final results. If the results hold up, Davis says Celldex may talk to the FDA about the possibility of “accelerated approval”—as in, on a thinner body of evidence than the agency usually requires, enabling the drug to get to market faster than it would otherwise.